Tuscaloosa, Alabama: Parallel Editions, 1998. Edition of 135. 6 x 8"; 56 pages. Letterpress printed on Rives buff (1 -25), remaining 110 copies on Synergy text natural. Titling by Mark Van Stone. Printed with 12-point Dante. 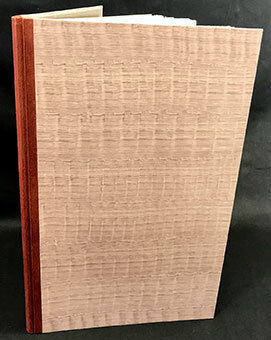 Bound in illustrated book board with cloth spine. Numbered. Signed by the poet. Poems by Thomas Rabbitt, founder of the MFA program at Alabama. He taught poetry for twenty-five years at the University. Illustrations by Margaret Prentice. Tuscaloosa, Alabama: Parallel Editions, 1994. Edition of 70. 8.5 x 13.25"; 30 pages. Designed and produced by Eileen Wallace, Steve Miller, Paula Marie Gourley, Timothy Geiger, Shari DeGraw and Inge Bruggeman in the MFA Book Arts Program at the University of Alabama. Printed from photopolymer plates. Bound in green cloth over boards with illustrated paper label on front board. Numbered. Signed by the poet. A Fine copy. Poems by Diane Wakoski accompanied with illustrations by Margaret Prentice. Poems include "Ice Walking", "He", "Snow Hands", "Alexander", "White Las Vegas", "Elvis at the Dollar Slotbank Sestina", "So Cold In Winter", "David's Letter", "Broken Ice", and "Romance of the Rose". "Snow Hands" previously appeared in "Jason the Sailor", an edition of the Black Sparrow Press, 1993. Diane Wakoski, wikipedia 10/18/2018, "is an American poet. Wakoski is primarily associated with the deep image poets, as well as the confessional and Beat poets of the 1940s." Wakoski’s honors include a Fulbright fellowship, a Michigan Arts Foundation award, and grants from the Guggenheim Foundation, the Michigan Arts Council, the National Endowment for the Arts, and the New York State Council on the Arts. She is a Michigan State University Distinguished University Professor and she serves as Poet-in-Residence to the MSU English Department. www.margaretprentice.com: "Margaret Prentice is currently Professor Emeritus in the Art Department at the University of Oregon where she taught for 26 years. Prentice taught drawing, intaglio and relief printmaking, papermaking and artists' books. She received her BFA from the Univ. of Arizona and her MFA from the Univ. of Colorado. Prentice received a Japan Foundation Artist Fellowship in 1994 visiting papermakers and printmakers in Japan for 4 months. She was an Artist-in-Residence at Kyoto Seika University and at the Univ. of Fine Arts in Tokyo in woodcut printmaking. Prentice visited famous hand papermakers in 6 prefectures, learning their sheet forming techniques. She received a UO Faculty Research Grant to document the primitive amate papermaking of the Otomi Indians in San Pablito, Mexico." Tuscaloosa, Alabama: Parallel Editions, 1993. Edition of 75. 6 x 10.25"; 20 pages including free end pages. Printed by Steve Miller and Timothy Geiger with Baskerville types. Cap calligraphy and pochoir by Paula Marie Gourley. 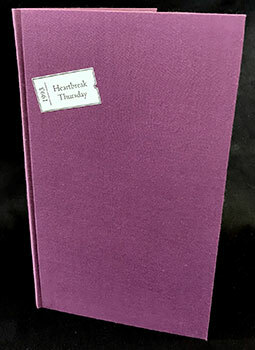 Bound in purple cloth-covered boards, printed cover label by Paula Marie Gourley with Catherine May and Coriander Reisbord. Facsimile on front endpaper of London Times story (May 21, 1983, pages 10). Signed by Hanff. Numbered. Helene Hanff, September 1992: "Leopold Stokowski, all by himself, took symphonic music out of the rich man's concert hall and gave it to the people. RCA Victor's first classical album (Catalog M-1) was Stoki's doing, as was the first classical music to be performed on the silver screen." Heartbreak Thursday is a remembrance by the author of the time when she would be in audience to hear and watch Leopold Stokowski conduct the Philadelphia Symphony Orchestra. The heartbreak being when he resigned and left for Hollywood. Tuscaloosa, Alabama: Parallel Editions, 1992. Edition of 90. 5.5 x 8.625"; 48 pages. Designed and printed by Steve Miller, Bill Sneeberger, and Terry Taylor. Printed letterpress with Gill Sans on Dulcet paper. Lithographs by Mario Laplante. Softbound in hand-colored Tyvek in limp-vellum style by Catherine May and Coriander Reisbord. Signed by John Taggart. Numbered. A book of fragments from the writings of Aeschylus translated by John Taggart with an introduction by Philip Lockhart. The fragments are numbered with an index to reference the fragment with the original text. Professor Philip Lockhart (1928-2011) taught for twenty-seven years at Dickinson College. 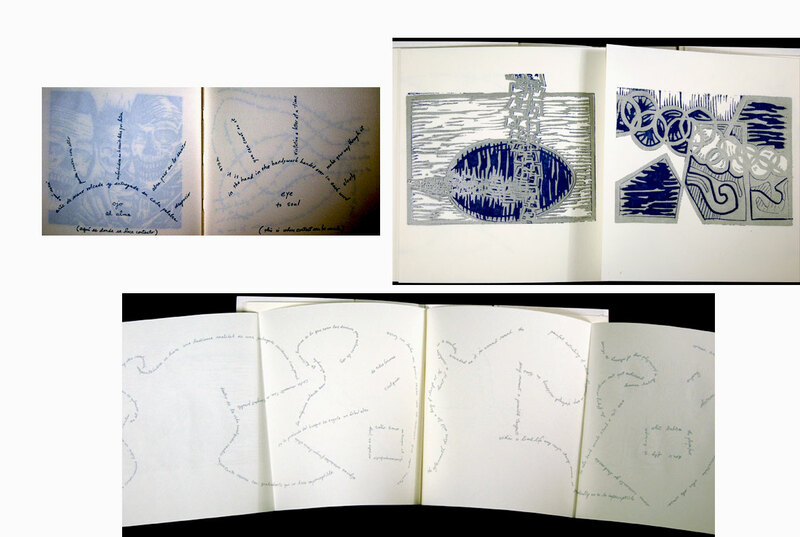 Mario Laplante, in 1992 Assistant Professor in Printmaking at the University of Alabama: "The prints I make usually find their way into Artist books. The cover, half title page, folios, and colophons allow my fascination with sculpture to take its cue in the dimensional presence of the book. Artist books that I’ve created satisfy the questions I have about the possible physicality of the print. Can prints be objects? Can objects be prints? 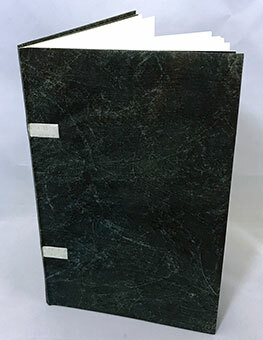 Making books has helped me expand answers to those questions by transposing the privacy of the printed page to the public presence of an object." Edited by Hank Lazer poems by Charles Bernstein, David Ignatow, Denise Levertov, Louis Simpson, Gerald Stern Tuscaloosa, Alabama: Symposium Press, 1984. Edition of 275. 8 x 12.5"; 64 pages including free end pages. Produced at the Institute for the Book Arts in the Graduate School of Library Service at the University of Alabama and published jointly with the English Department. Designed by Gabriel Rummonds. Printed under Rummonds direction by Sue Harris, Kathryn Miller, Cary Wilkins, and Linda Samson-Talleur. Text handset in monotype Van Dijck and printed on Mohawk Superfine. Bound in green paper wrappers with title printed on front cover. A Fine copy. "On Equal Terms" contains poems by the participants in The Eleventh Alabama Symposium on English and American Literature: What Is a Poet? at the University of Alabama, October 18-20, 1984. "On Equal Terms" presents two previously unpublished poems by each of the five poets. The introduction is by Hank Lazer, director of the symposium. Lazer is a poet and essayist and teaches at the University of Alabama. Charles Bernstein www.poets.org: "Bernstein serves as the Executive Editor, and co-founder, of The Electronic Poetry Center at SUNY-Buffalo. His honors and awards include the Roy Harvey Pearce/Archive for New Poetry Prize and fellowships from the New York Foundation for the Arts, the Guggenheim Foundation, and the National Endowment for the Arts. Currently, he is Professor of English at the University of Pennsylvania." Bernstein's' two poems in "On Equal Terms" were included in "The Sophist" published later in 1985 by Sun and Moon Press." David Ignatow (1914 – 1997)www.poets.org: "Ignatow’s many honors include a Bollingen Prize, two Guggenheim fellowships, the John Steinbeck Award, and a National Institute of Arts and Letters award “for a lifetime of creative effort.” He received the Shelley Memorial Award (1966), the Frost Medal (1992), and the William Carlos Williams Award (1997) of the Poetry Society of America." 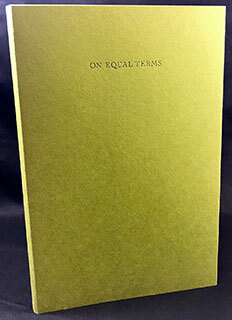 Ignatow's two poems for "On Equal Terms" were published later by Wesleyan University in New and Collected Poems, 1970-1986. Denise Levertov (1923-1997), wikipedia 10/18/2018: "Levertov wrote and published 24 books of poetry, and also criticism and translations. She also edited several anthologies. Among her many awards and honours, she received the Shelley Memorial Award, the Robert Frost Medal, the Lannan Award, the Catherine Luck Memorial Grant, a grant from the National Institute of Arts and Letters and a Guggenheim Fellowship." Her two poems from "On Equal Terms" to be published in "Oblique Prayers" October 1984 by New Directions. Louis Simpson (1923 - 2012), www.poets.org: "Among his many other honors are the Prix de Rome, fellowships from the Guggenheim Foundation and the National Endowment for the Arts, and the Medal for Excellence from Columbia University … At the End of the Open Road, Poems (1963), for which he won the Pulitzer Prize for Poetry." Gerald Stern, www.poets.org: " His honors include the Paris Review‘s Bernard F. Conners Award, the Bess Hokin Award from Poetry, the Ruth Lilly Prize, four National Endowment for the Arts grants, the Pennsylvania Governor’s Award for Excellence in the Arts, the Jerome J. Shestack Poetry Prize from American Poetry Review, and fellowships from the Academy of American Poets, the Guggenheim Foundation, and the Pennsylvania Council on the Arts. In 2005, Stern was selected to receive the Wallace Stevens Award for mastery in the art of poetry." His two poems in this volume are from Paradise Poems, to be published by Random House in September 1984. Tuscaloosa, Alabama: Parallel Editions, 1983. Edition of 90. 8.25 x 13.25"; 48 pages including free end papers. Printed under the direction of Richard-Gabriel Rummonds at the University of Alabama. 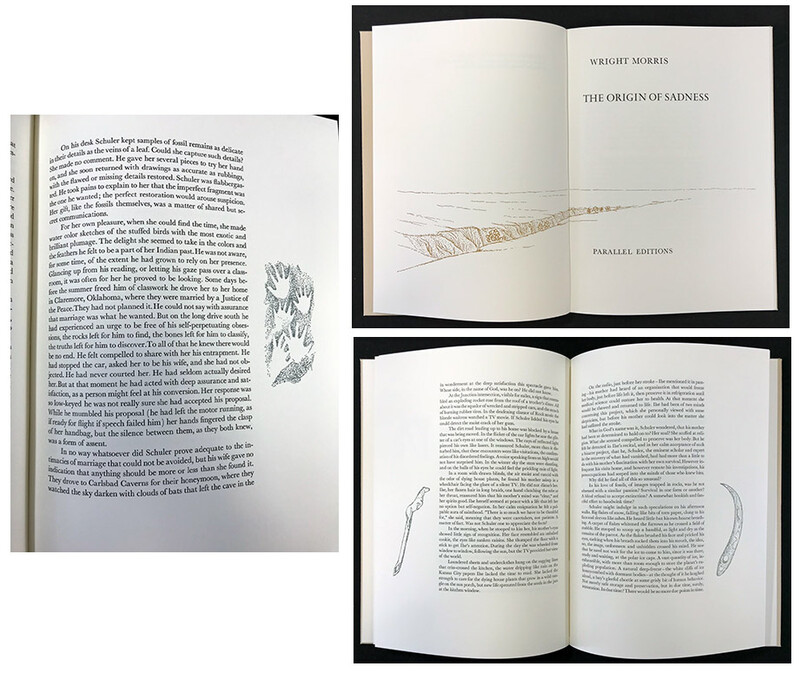 Design, typesetting, printing, and binding by Jeffrey Haste, Susan Henddre, Peter Kruty and Pamela Shore (graduate students in the book arts program at the University of Alabama). Text in Greek and English handset in monotype Bulmer. Printed on a cast-iron Reliance Handpress on Twinrocker handmade paper. Bound in paper over boards with leather spine. Numbered. Signed by poet and artist. Bilingual Greek-English book of twelve poems by Yannis Ritsos with introduction by Edmund Keeley. Edmund Keeley, wikipedia 10.18.18, is "a prize-winning novelist, translator, and essayist, a poet and Charles Barnwell Straut Professor Emeritus of English at Princeton University. He is a noted expert on Greek poets C. P. Cavafy, George Seferis, Odysseus Elytis and Yannis Ritsos and on post-Second World War Greek History." Yiannis Ritsos, wikipedia 10.18.18, "(1 May 1909 – 11 November 1990) was a Greek poet and left-wing activist and an active member of the Greek Resistance during World War II. … Today, Ritsos is considered one of the great Greek poets of the twentieth century, alongside Konstantinos Kavafis, Kostas Kariotakis, Angelos Sikelianos, Giorgos Seferis, and Odysseas Elytis. The French poet Louis Aragon once said that Ritsos was 'the greatest poet of our age.' He was unsuccessfully proposed nine times for the Nobel Prize for Literature … he won the Lenin Peace Prize in 1975." Sidney Chafetz, Collecohioart.com 10/18/2018, "(American 1922 – 2013) was born on March 27, 1922, in Providence, Rhode Island. Chafetz enrolled at the Rhode Island School of Design in 1940 and served in the U.S. Army during World War II. After recovering from injuries in the Battle of the Bulge, Chafetz graduated from RISD in 1947. . .. After arriving to teach at The Ohio State University in 1948, Chafetz was instrumental in establishing and nurturing the printmaking program in the Department of Art. He retired from the university as professor emeritus in 1982 so he could concentrate on his own work. His honors and awards included two Fulbright Fellowships, a Louis Comfort Tiffany Award, a MacDowell Fellowship, and a Ford Foundation grant." 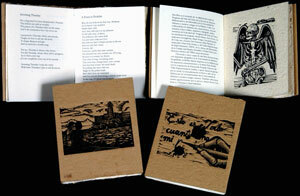 Collaborative book projects between the University of Alabama Book Arts Program and Cuban printmakers. Tuscaloosa & Havana: Parallel Editions, 2017. Edition of 64. 6 x 8.8"; 50 pages. Text in Spanish and English. Letterpress printed. Linocuts. In stiff paper wrappers with titles on front cover. Signed by the artist and poet. Numbered. Colophon: "This book is a collaboration between Cuban poet Rito Ramon Aroche, as translated by Kristin Dykstra, Cuban artist Alejandro Sainz, and The University of Alabama. 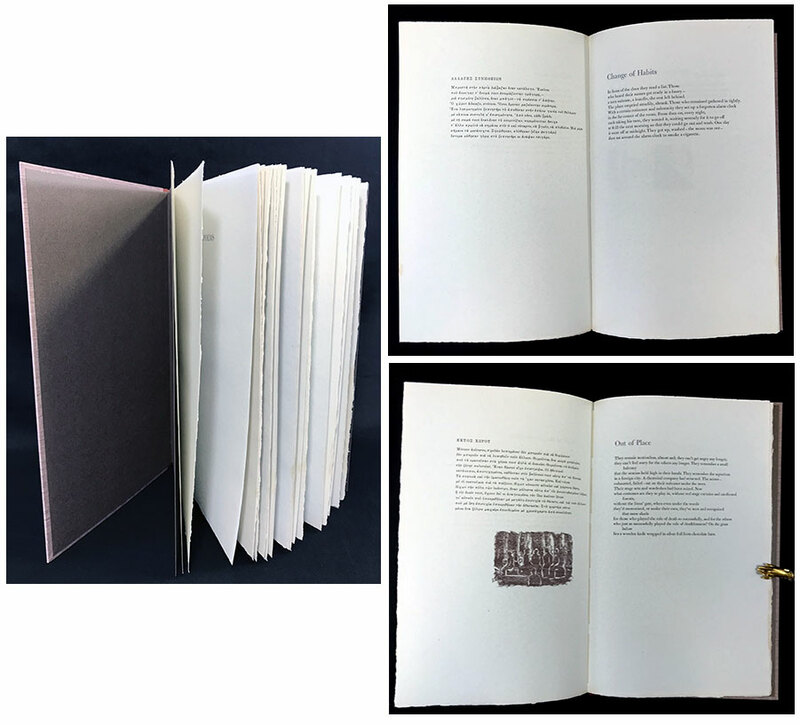 Faculty and students in the MFA in the Book Arts Program, School of Library & Information Studies, College of communication & Information Sciences designed, letterpress printed, and bound the chapbook." 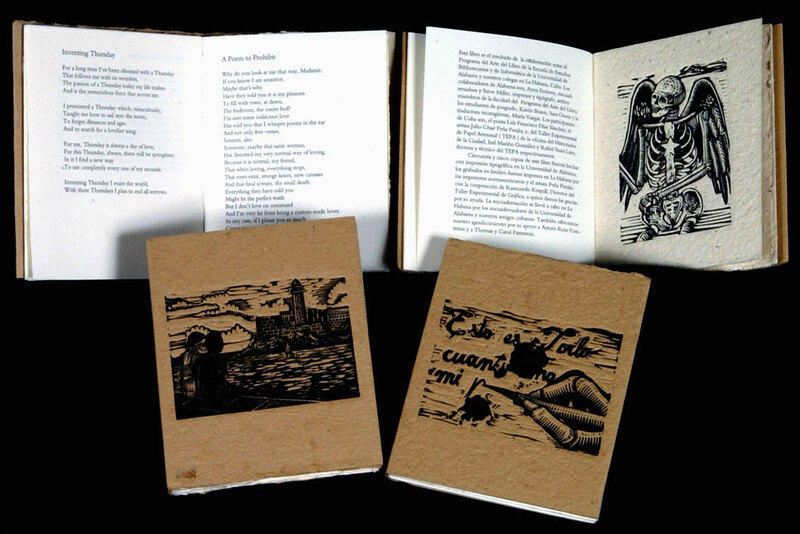 The chapbooks were finished by UA students and faculty and the artist at the Taller Experimental de Grafica in Cuba. The Spanish-language poems of "Andamios" were first published in the magazine "Diasporas" then in "UNION". Rito Ramon Aroche (Havana, 1961) is the author of numerous poetry collections. Kristin Dykstra has translated numerous poetry collections, including three for the University of Alabama Press in 2016. Tuscaloosa & Havana: Parallel Editions, 2014. Edition of 60. 6 x 9"; 32 pages. Letterpress printed. Bound with paper over boards. Signed by the poet and illustrator on the colophon. Text bilingual - English and Spanish. Poetry Foundation: "Reina María Rodríguez was born in Havana in 1952 and lives there still. In Cuba she is recognized as a major poet and also as an advocate for non-governmental cultural spaces. Her rooftop home, informally known as la azotea de Reina, has served as a salon for the Cuban literary community for many years. English translations of her work include La Detencion del Tiempo/Time’s Arrest (Factory School 2005), and Violet Island and Other Poems (2004) and The Winter Garden Photography (2009), both from Green Integer." Rodriguez was awarded the 2013 National Literature Prize of Cuba. In 2014 she was awarded the Pablo Neruda Poetry Prize. The translator Kristin Dykstra is Associate Professor of English at Illinois State University and co-edits Mandorla: New Writing from the Americas with Gabriel Bernal Granados (Mexico City) and Roberto Tejada (Dallas). 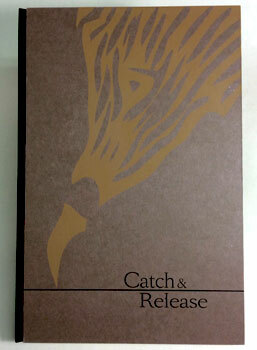 Kirstin Dykstra, Writers' Corner: "As the epigraph to the title poem of Catch and Release confides, Reina María Rodríguez gathered 'filings of the self' to compose her multivalent poems. I'll work with her to situate details informing them. Based on our past conversations, these are likely to emerge from family history, personal memories, images from photographs, and her prolific reading of literature from other nations. These sources bring depth and range to her elusive poetry. So does the rumbling uncertainty of everyday life in Havana in the post-Soviet era. "Working with the translation of poetry, said so often to be impossible, I find its rigors motivational. Myriad questions about how to balance possibilities against constraints go into recreating a poem's weave. With many texts by Rodríguez, I'm looking for delicate, strange, or ambiguous results." Cuban artist, Alejandro Sainz illustrated 'Catch and Release' using linocuts. He is a member of the Experimental Graphic Workshop in Havana. Tuscaloosa & Havana: Parallel Editions, 2012. Edition of 66. 7.25 x 9.75" wrapper with pamphlet and prints. Letterpress printed pamphlet of 12 pages sewn into wrapper. 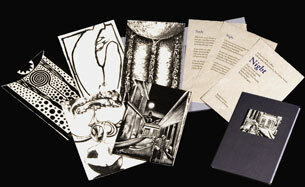 8 intaglio prints signed and numbered slipped into back folding flaps. Text in English and Spanish. Handbound in paper wrappers. Angel Manuel Ramirez: "The Experimental Graphic Workshop of Havana, a workshop, that this year celebrated its 50th anniversary, already has a long history with the trajectory of prints. Many Cuban and foreign artists have made use of the facilities in order to leave their own mark. Nevertheless, over so much time, the number of projects related to books was not so great as to represent a line of work. "That was when Anna Embree and Steve Miller, from The University of Alabama, arrived on the scene with their projects, their constantly renewed students, and above all their enthusiasm and keen knowledge needed to begin the miracle, to construct books where everything is art, and to bring to TEGH an experience that is gradually becoming the spearhead of a beautiful tradition. "From our perspective, we can only give thanks time and time again for the wealth of opportunities opened up by the exchange between both institutions and hope that the fiesta of the book and the print continues." Anna Embree and Steve Miller: "The Experimental Graphic Workshop in Havana, Cuba, has become a creative hub for faculty and students in the graduate Book Arts Program at The University of Alabama. 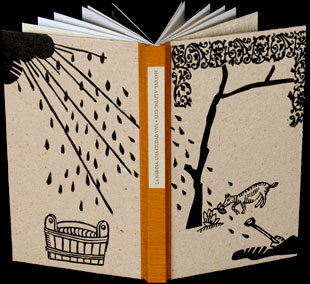 2012 marks the eighth year of collaborating with Cuban artists and papermakers on book projects. This project celebrates the distinguished 50th anniversary of the Taller, and marks a moment to thank the Taller for its continuing work with our students and faculty. 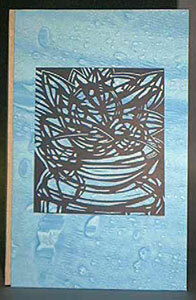 ..."
For this collaboration the intaglio prints were created and printed by Cuban artists at the workshop in Havana. The letterpress printing was done at the University of Alabama. The binding was done by UA students and faculty at the workshop in Havana. Tuscaloosa, Alabama/Havana, Cuba: Parallel Editions, 2011. 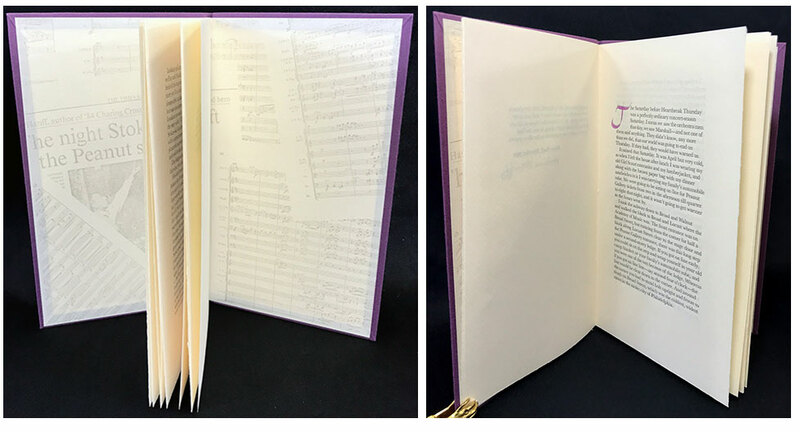 7.25 x 7.75"; 36 pages with double page fold out. Letterpress printed. Paper wraps. Bilingual. Colophon: "Indivisible is a collaborative effort between the University of Alabama, the Taller Experimental de Grafica, and poet Hank Lazer. The artwork was created by the Cuban artists César Peña Peralta and Daniel Alberto Rodríguez. Hank Lazer, Dr. Michael Schnapf, and Ally Nevarez translated the original text from English into Spanish, and it is presented in the poet's hand." Hank Lazer is an American poet and critic who teaches at the University of Alabama. He born and raised in San Jose, California, received an A.B. degree in English from Stanford University. Lazer holds M.A. and Ph.D. degrees in English from the University of Virginia. "I learned from indivisible that, oddly, it is much more difficult to 'copy' a previously written page than to write it the first time. The translated pages, in Spanish, had to assume a slightly different shape than the 'original' page." Alabama / Cuba: 2005. Edition of 75. 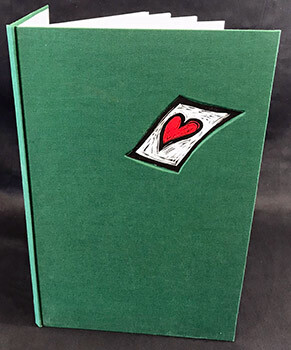 8.5 x 5.5" This is one of the twenty deluxe versions in a cloth clamshell box holding two versions of the book. 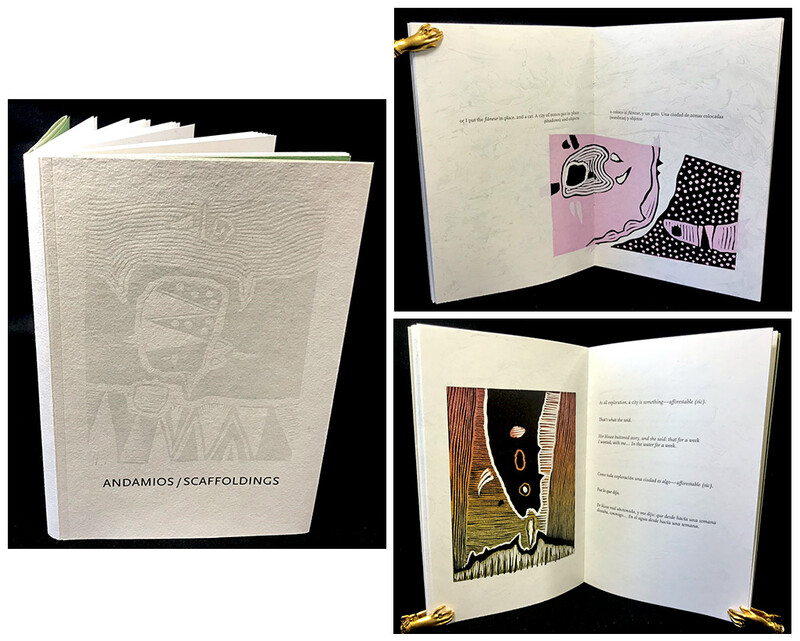 A collaborative book project between the University of Alabama Book Arts Program and Cuban printmaker Carlos "Tato" Ayress Moreno. 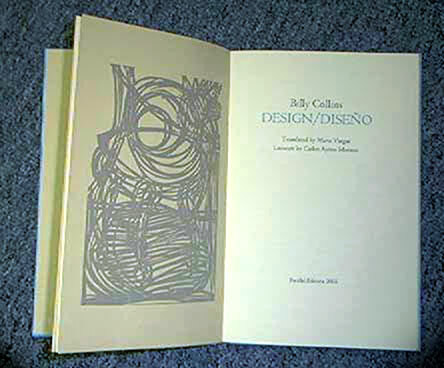 A bilingual edition of poems by Billy Collins. The poems were originally published by Random House in "Sailing Alone Around the Room." 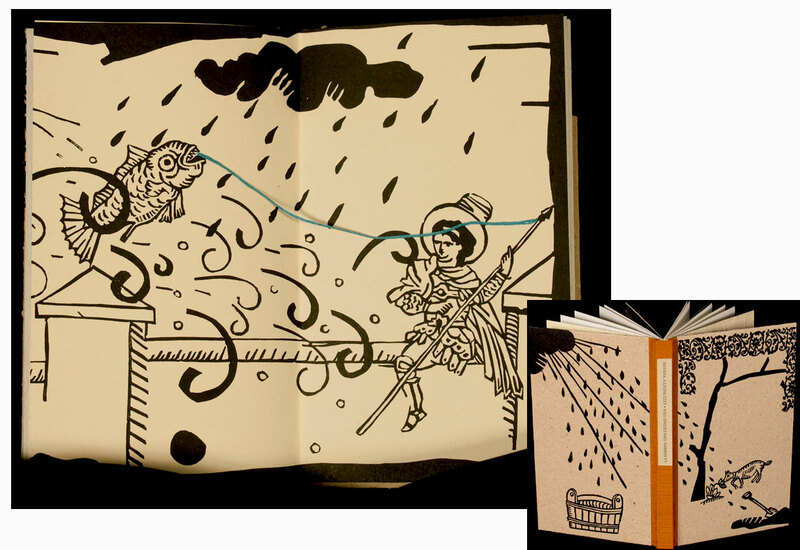 This book had its roots in a visit to Cuba in January 2003 by Steve Miller, a book artist from The University of Alabama. On that visit that he met, among a number of book and paper artists, the printmaker Carlos "Tato" Ayress Moreno. Miller and Moreno agreed that a collaborative book project would be an exciting thing to do. When Miller came back to the US, he contacted US poet laureate (2001-2003) Billy Collins, who was instantly supportive of publishing a bilingual version of some of his poems, to be illustrated by Tato. The book would be in two bilingual version - a fairly simple Cuban edition and a more elaborate Alabama edition. During the year that ensued, Maria Vargas translated the poems, selected by UA book arts students and faculty, into Spanish, while Tato worked on linocuts in Havana. 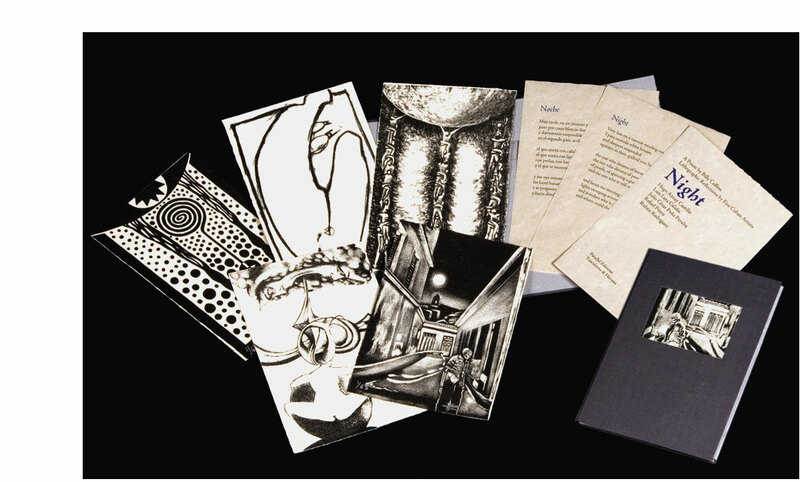 Plans were made for UA book arts faulty and graduate students to travel to Cuba in February of 2004 and work with the artist in his studio to finish printing and then binding the Cuban Book. The Cuban edition was printed in the way that Alabama had seen books being printed at Editiones Vigia in Matanzas, Cuba - on very good paper and printed on a good copy machine, in this case at Kinko's. Tato, with invaluable assistance from the Cuban artist-translator friend Arturo Ruiz Contreras, proved to be a great host for the Alabama team. he set up a large room with his old Chilean etching press and set to work on a new linocut for the cover. In the meantime the right number of handmade paper sheets were found to bind the 125 books at Papel Artesenal, a hand papermill in Old Havana. The team spent almost three days in Tato's studio, printing and binding to finish the books, often to the sound of guitar playing and singing. On the Friday they were able to take eighty finished copies to the office of the Directora of the University of Havana Libraries, who had agreed to distribute the book far and wide among public libraries. That evening Tato invited friends and family and all celebrated with rum and food and song and dance. 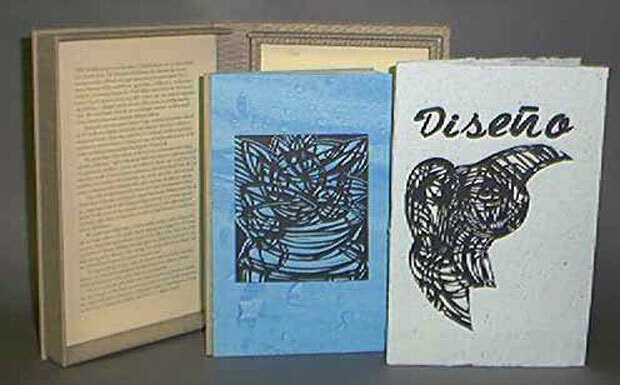 During the Spring of 2005, under the direction of Steve Miller and Anna Embree, the letterpress printing and bookbinding of the Alabama version, which includes more of the artist's linocuts, were finished. Tuscaloosa, Alabama: Parallel Editions, 1984. Edition of 115. 9 x 12.5"; 32 pages. Designed, printed, and bound by Susan Hendrie, Peter Kruty, and Pamela Shore under the direction of Glenn House and Gabriel Rummonds. Linecut illustrations from original drawings in pen and ink by Susan Hendrie. Text handset in Monotype Baskerville and printed on a Vandercook Proving Machine No. 219 on Mohawk paper. Bound in cream colored book cloth. Printed title label on spine. Numbered. Signed by Morris. "The Origin of Sadness" is the first book in a series by visiting authors holding the Endowed Chair in Creative Writing at The University of Alabama. Wright Morris (1910 - 1998), wikipedia 10/18/2018, "was an American novelist, photographer, and essayist. He is known for his portrayals of the people and artifacts of the Great Plains in words and pictures, as well as for experimenting with narrative forms. "Morris received numerous honors in addition to the National Book Awards for 'The Field of Vision' and 'Plains Song'. He was granted Guggenheim Fellowships in 1942, 1946, and 1954. In 1975, he won the Mari Sandoz Award recognizing 'significant, enduring contribution to the Nebraska book world'. In 1979, he received the Western Literature Association's Distinguished Achievement Award. In 1981, he won the Los Angeles Times' Book Prize Robert Kirsch Award for lifetime achievement. In 1982, a jury of Modern Language Association members selected him for the Common Wealth Award for distinguished service in literature. In 1985, he was one of the inaugural recipients of the Whiting Award. In 1986, he was honored with a Creative Writing Fellowship from the National Endowment for the Arts." Alabama / Cuba: Parallel Editions, 2009. Edition of 60. 6 x 10"; 28 pages. Printed letterpress with 10 linocut prints. Signed by author and artist. Translated by Maria Vargas. Excerpts from books and speeches by Dr. Eusebio Leal Spengler, Historian of the City of Havana, in a 2009 bilingual limited edition translated by Maria Vargas. 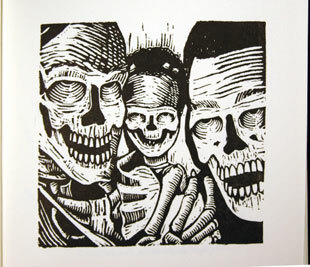 Ten linocuts by Cuban artist Angel Manuel Ramirez. Bi-lingual: English from one side, Spanish from the other. 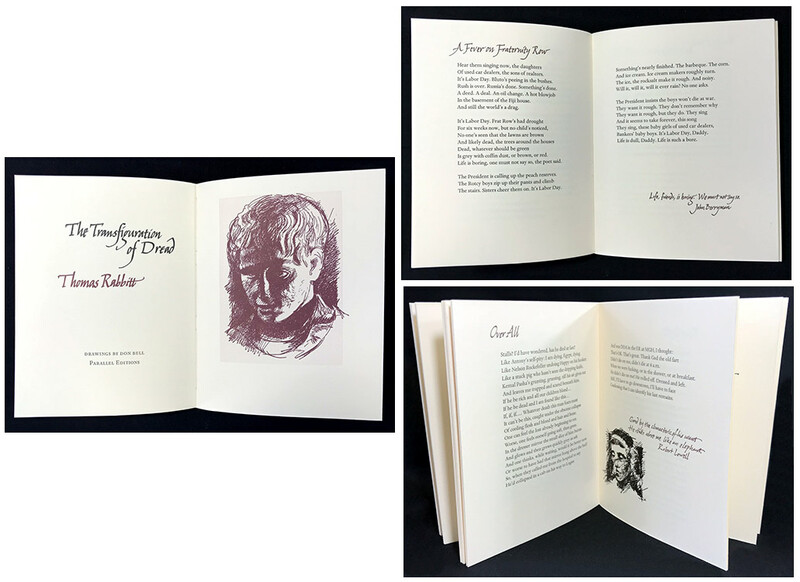 The design, letterpress, and bookbinding were executed by Professor Anna Embree, Professor Steve Miller, and the University of Alabama students. Taller Experimental de Grafica in Havana, Cuba, made the papers for this book at Papel Artesanal. 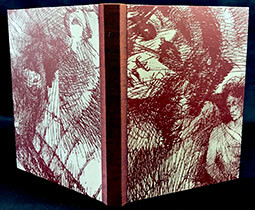 Alabama / Cuba: Parallel Editions, 2006. Edition of 55. 4 x 5"; 24 pages with four linocuts. Signed by the artist. Printed letterpress. Six poems by Luis Francisco Diaz Sanchez in a 2006 bilingual limited edition translated by Maria Vargas. Six linocuts by Cuban artist Julio Cesar Pena Peralta. Bi-lingual: English from one side, Spanish from the other. 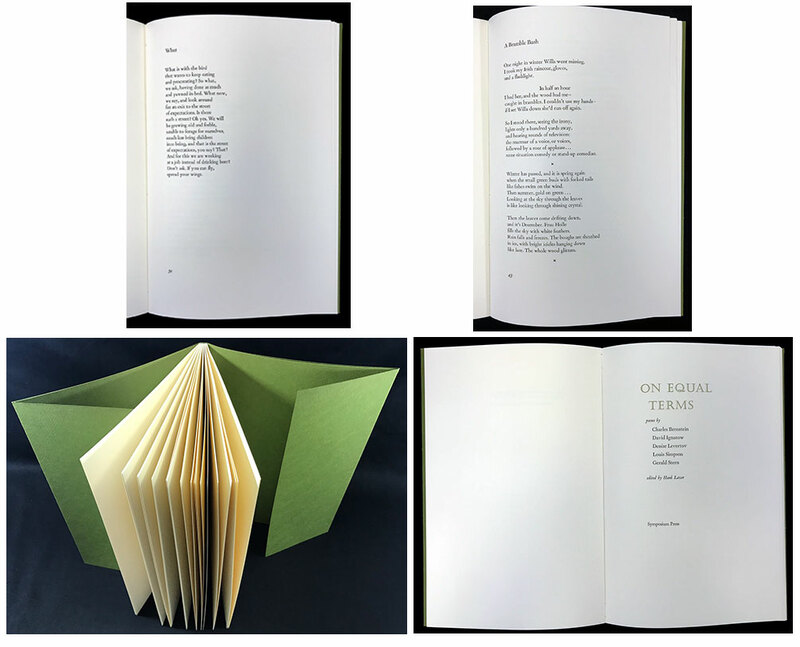 The poems were letterpress printed on Biblio by Steve Miller and students at the University of Alabama. 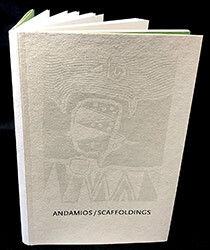 The linocuts were printed by Miller and the UA students, working with the artist at Taller Experimental de Grafica in Havana, Cuba, on papers made for this book at Papel Artesanal. 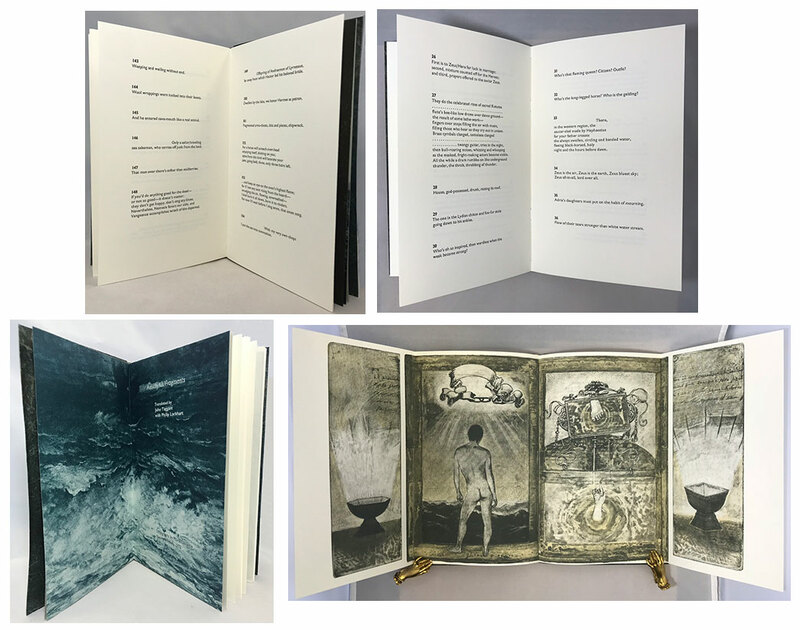 Anna Embree designed the binding and led a team of UA students and Cuban paper artists in binding the edition at Papel Artesanal. Tuscaloosa / Havana: Parallel Editions, 2007. Edition of 62. 5.875 x 8.375"; 9 loose leaves. Typographic design by Steve Miller. Bookbinding design by Anna Embree. 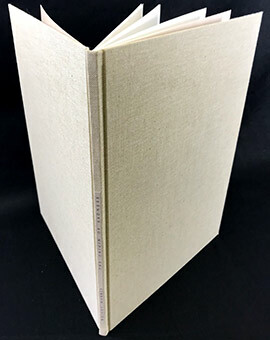 Handmade paper for the text, letterpress printing, and bookbinding by Elizabeth Aversa, Sarah Bryant, Anna Embree, Sarah Marshall, Patrick Masterson, Steve Miller, and Laura Thomson. Handmade portfolio paper created at Papel Artesanal in Havana under the direction of Rafael Suan Lazo and Directora Izel Marino Gonzalez, technico y doctora del TEPA respectivamente. Lithographs printed by the Alabama team and the Cuban artists in Havana, Cuba. 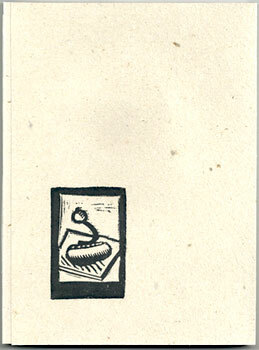 Bound in gray cloth with paper lithographic illustration on front board. Signed by the poet. 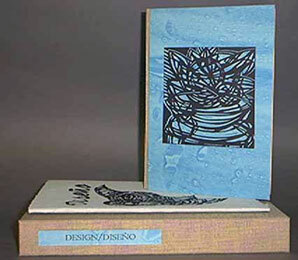 Another in the collaboration of works by the Book Arts program at the University of Alabama and Cuban artists and printers. 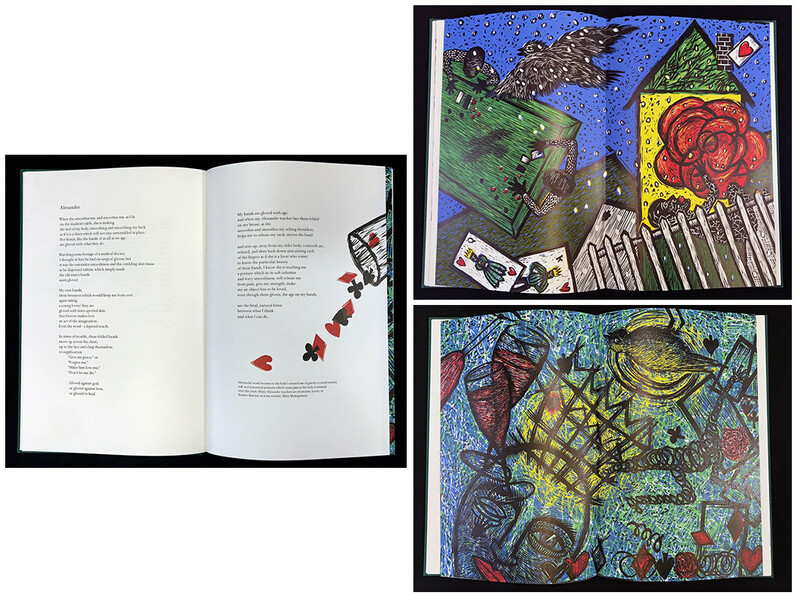 This book features a poem by Billy Collins presented in English and Spanish (translation into Spanish by Maria Vargas) accompanied by lithographs by five Cuban artists - Hugo Azcuy Castillo, Luis Lara Calaña, Julio César Peña Peralta, Rafael Pérez, and Rubén Rodriguez. This is the first publication of "Noche."